The CV404 is part of our Highlander Line which is a combination of cognac full grain buffalo hide and 18 oz. forest green canvas. 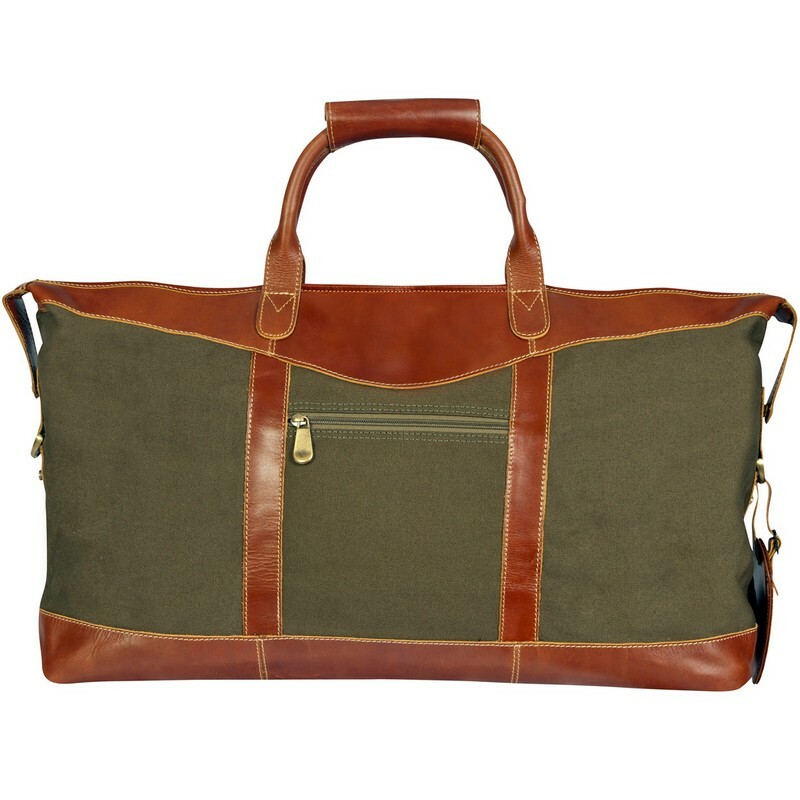 This leather and canvas duffel is great for all trips and has one large, zippered, main compartment as well as a small zippered pocket on the outside.